Chelsea manager Antonio Conte insists it was the right decision to replace Diego Costa with Alvaro Morata, but admits his back injury is a concern for the club. 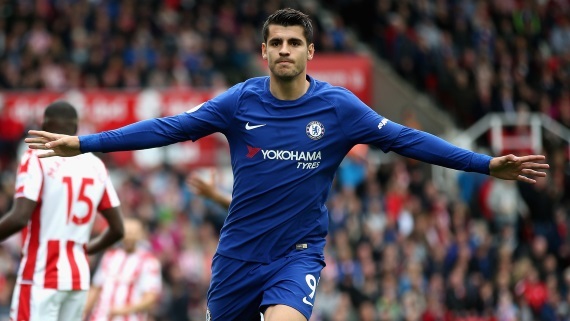 Morata signed for the Blues from Real Madrid in July 2017, while Costa worked on a return to Atletico Madrid, and made an instant impact at Stamford Bridge, scoring six goals in his first six Premier League games. Conte told reporters, according to the Evening Standard: "For a striker, to spend 55m Euros [£58m] on a young player like Morata, and selling Costa for 60m [£60m] Euros, a player older than Morata... that was a good sign for the club." However, the Spaniard has since struggled for form, managing only four goals in 14 games, and has also been hampered by a back injury that's seen him miss three games. "If you remember, in the past, he stopped himself for a problem in his back. A pain in the back. Now this pain has come back," Conte said. "I hope it's not serious. But this is the second game that he stopped. He wasn't available against Brighton because this problem was there the day before as well [regardless of his suspension]."